MAY REGISTRATION IS NOW OPEN UNTIL APRIL 26th!!! 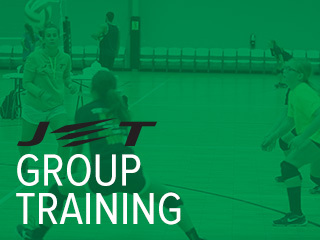 JET Volleyball has partnered with Gold’s Gym to develop this volleyball specific training program for our athletes. This program is designed to improve: vertical, quickness, core strength, movement, strength and overall volleyball fitness. JET Volleyball is the first local club to do something of this magnitude and will truly elevate our athlete’s performance. Our JET athletes will be working with 2-3 elite trainers for one hour each. JET staff has worked closely with Gold’s Gym to develop a top notch program specifically designed for our club! Group training sessions offered for beginners and/or less experienced players. 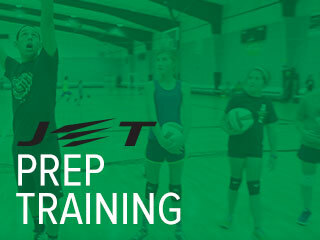 JET Prep is for beginners to learn fundamentals and skills and develop team cohesiveness. JET Group Training are advanced skill trainings. The goal is to fine tune all fundamental skills and develop each individuals’ overall performance. Small groups of 6-10 athletes are grouped together based on age and ability. Team round robin format league provides the opportunity for athletes to play on an organized or independent team. Jess Evers Training is a family oriented organization. We’re not just a club. Athletes that are a part of our training and club programs we consider part of our JET family! WE’LL HELP TAKE YOUR CHILD TO THE NEXT LEVEL! JET (Jess Evers Training) can be summed up within our three core values for training and teaching – Excellence, Execution and Enthusiasm. Excellence is required in order to reach the next level of success, regardless of where your skill level is today. An athlete must first be committed to hard work, focused energy and understand they will always be improving their game and never will they arrive. The pursuit of excellence starts with having a great attitude and is stressed in all of JET’s skills training classes and comps. Execution is what separates average athletes from great athletes. Any championship is won because of this most fundamental aspect – competition. In order for an athlete to execute properly they must first lean the properr skills and habits associated with consistent performance. JET works with each athlete independently to insure they grasp each skill before moving to the next skill set. Then, we stress the importance of practice, practice and more practice. Enthusiasm enhances any environment, especially sports. JET works with athletes to help them understand how developing a spirit of enthusiasm will help them individually as well as enriching their team experience. JET can take young athletes who may be reserved and quiet by nature and help them breakout and learn to contribute a stronger spirit of enthusiasm. 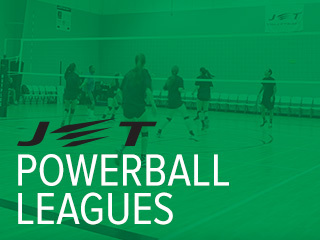 Amarillo Netplex is the home of JET Volleyball! 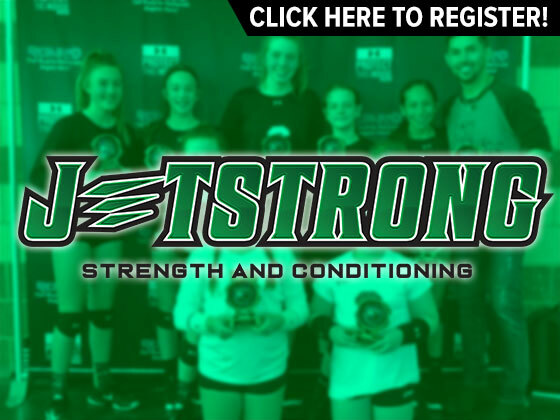 Amarillo Netplex is a state-of-the-art sports facility with multiple volleyball courts to be used for tournaments, leagues, trainings, clinics, camps and more!